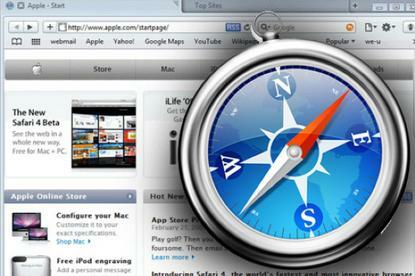 Apple's Safari browser recently joined Firefox and Chrome in offering extensions. Which ones should you install? The gallery, a curated collection of extensions submitted by third-party developers, is similar to the company's App Store for iPhone and iPad software. As in the App Store, Apple picks which extensions get listed in Extensions Gallery based on how well they perform and the functions they add to Safari. Any developer can submit one, but if you look through Extensions Gallery, you'll notice many come from major media outlets or social networks. Unlike the official Firefox and Chrome extension sites, the Safari Extensions Gallery doesn't have a separate page for each extension. Instead, they're all listed on a single gallery page, which is divided into several categories including News, Shopping, Productivity and Social Networking. Like the App Store, Extensions Gallery features a simple one-step installation process. Click the Install Now button below an extension you want to try, and the extension is automatically downloaded, installed and activated. If the extension provides buttons, a toolbar or some other always-visible item, you'll see it immediately. If an extension doesn't work for you right out of the gate, try quitting and restarting Safari, but in most cases you won't need a restart. If you want to delete or disable an extension, simply open Safari's Preferences, click on the Extensions tab, and locate the extension in the list box. You can click a checkbox to simply disable it -- leaving it installed for later use -- or click the Uninstall button to get rid of it entirely. You can also disable all extensions at once, leaving Safari in a clean state. For many extensions, you can also specify preferences or settings. These vary depending on the extension and can involve anything from adding a username and password for a site to defining what information the extension displays and how it looks in Safari. Unlike the process it uses for iOS applications -- which are only available at the App Store, unless you've jailbroken your device -- Apple allows developers to distribute Safari extensions freely on the Web. Even before Apple got its Extensions Gallery up and running, numerous Web sites and blogs popped up to offer less-restricted ways of finding and downloading extensions. Downloading an extension from one of those alternative venues isn't quite as simple as the installation process at the Extensions Gallery, but it's not really onerous -- you download the extension's file, double-click to open it and confirm for Safari that you really want to install the extension. As with Gallery extensions, extensions from other sources can be disabled and deleted by using Safari Preferences. Pimp My Safari, Safari Extendr, SafariExtensions.net and SafariExtensions.tumblr are great places to find a wide array of extensions, many of them offering features beyond those you'll find in Apple's Extensions Gallery. With hundreds of extensions already available -- dozens in Apple's gallery alone -- finding those that offer useful features and work reliably is a challenge. We've rounded up 30 extensions, from both Apple's gallery and other sources, that make social networking a breeze, finding and reading Internet content more efficient, working with tabs easier, surfing the Web more secure and much more. All of them are free to download and use (although many of the developers welcome donations) and are available for both Mac and Windows machines. Editor's Note: Safari 5.0.1 requires Mac OS X 'Leopard' 10.5.8 or 'Snow Leopard' 10.6.2 or higher, or Windows XP, Vista or 7. Extensions are not enabled in earlier versions of Safari. More Safari extensions are being added all the time. Let us know your favorites in the article comments. Probably the best tab-related extension out there, Calle Gustafsson's Exposer adds a button to Safari's toolbar that pops up an Exposé-like view in front of the browser showing thumbnails of all your open tabs. This allows you to see exactly what's displayed in each one and easily switch to a specific tab by clicking it. If you routinely use tabbed browsing, this extension is a must. SafariRestore from SweetP Productions does one simple task: It lets you save all your open tabs for recovery later. Click the "SafariRestore" button in the Safari toolbar, and you are offered the option to save your current session or restore a previous session. True, Safari does have the built-in ability to save multiple tabs as bookmarks (right-click on the tab bar and select the Add Bookmark for These Tabs option), but SafariRestore lets you save and restore groups of tabs without creating permanent bookmarks for them. You can save up to six sessions; the most recent will be opened automatically the next time you start Safari. Create several sessions for different tasks -- a social networking session, a project management session, a business research session -- and switch back and forth over the course of the day. This extension from Thiemo adds a button to create a new tab with the same Web page displayed as in the current tab -- useful if you want to keep a site open and still be able to surf away. You can also designate whether the new tab is a background or foreground tab by default in the extension's preferences. It's a useful addition to Safari's built-in ability to open links in new tabs by right-clicking or by holding the Command key down while clicking. This extension from Amberlight installs a bar below the address and bookmarks bars that can provide a variety of information -- current weather, date/time, various world clocks and an RSS feed in a news ticker format. (You can customize the display in the extension's preferences.) While it duplicates the functionality of some Mac OS X Dashboard widgets, it does so in an always-visible format. Safari's built-in status bar (at the very bottom of the browser window) is rather Spartan, showing you destination URLs for Web links and page-download status and not much else. Interclue's Ultimate Status Bar offers more functionality and customization. When you roll over links on a Web page, the Ultimate Status Bar can show you favicons (if available) for the destination Web pages, expanded URLs of shortened links, and file sizes for non-Web-page links such as PDFs, compressed content or disk images. If you have Safari set to display its default status bar, the Ultimate Status Bar appears just above it; if you toggle Safari's status bar off, Ultimate Status Bar replaces it. The bar can be customized using various color themes, and it automatically disappears when not in use. Productive computer users know that the less often you have to shift your hands from the keyboard to the mouse, and vice versa, the more efficiently you can work. KeyStroke from solusHex enables a range of keyboard shortcuts in Safari, allowing you to scroll up and down, return to a previous page, zoom in and out, and perform other functions using single keys (such as "j" and "k" to scroll down and up, respectively -- a shortcut familiar to Gmail and Google Reader users). You can reassign each function to any key you like if the defaults don't make sense to you. If you're more comfortable with the mouse than the keyboard, you might prefer Kai Straßmann's MouseGestures extension. It lets you assign actions such as "back" and "close tab" to four gestures (up, down, left and right) you make with your mouse. To trigger a gesture, hold down the mouse button you designate in the options (typically the right or middle button) and sweep the mouse up, down, left or right. You can execute common navigational functions much more quickly with a gesture, so you can focus on getting your work done. How many Web sites and services do you use that require you to log in with a username and password? To keep track of them all, many people use easily guessable passwords or use the same password for multiple sites (or both) -- neither of which is a smart security tactic. That's where LastPass comes in. It securely stores all your usernames and passwords; all you need to remember is a master password. After you sign up for a free LastPass account, the LastPass extension asks if you want it to save usernames and passwords for every site you log into. Once saved, you can set each site to log in automatically or to require your LastPass master password to log in. (We recommend the latter.) The extension creates a menu bar with links to all the sites you have saved information for, as well as a form filler to quickly enter profiles or shipping information. More important, LastPass helps you change your worthless passwords (like HelloKitty) to much stronger ones (like J#Qq*!bnF). Go to each site's "change password" page and use LastPass's secure password generator to create complex passwords of whatever length and combination of numbers, symbols and upper- and lowercase letters you choose. You won't have to remember them, of course -- LastPass does it for you. It takes some time to update all your weak passwords this way, but the security you'll gain is well worth the investment. Another bonus: LastPass also offers extensions for Firefox, Chrome and Internet Explorer, so if you use multiple browsers, your passwords will be available to you in all of them. * General trustworthiness: WOT users would likely rate the BBC as being more trustworthy than, say, "Bob's Alien News." * Privacy: Ratings in this category are based on factors such as how well a site protects personal data. * Child safety: A site that includes adult images or language would likely get a low rating from users. When you first visit a site that WOT users consider to be safe, a green circle will flash at the top left of the screen. When you visit a suspicious site, you'll get a WOT pop-up warning message that explains why the site has been flagged as untrustworthy. You can add your own ratings and contribute to the web of trust by clicking on the WOT button in the Safari toolbar. A port of the popular Chrome extension, AdBlock does what its name says it does: It blocks most ads, both graphic and Flash-based, from being displayed. Plugin Customs automatically keeps content from loading if it requires any Safari plug-in (most commonly Adobe Flash). This can keep poorly coded content from slowing down your browsing or page-loading times and keep away annoying animations and video. A gray box that displays the plug-in type is shown at the same size as the actual plug-in content. To view the content, simply click the gray box. If you're just interested in articles and other content and don't care about comments and potential flame wars, Shut Up from Ricky Romero is a great plug-in because it prevents the comments section of most Web pages from loading. As a result, it also speeds up page loading and rendering. Not into social networking? Open Bits Software's Shellfish blocks the various "share" buttons for most social networks that are now embedded in most articles, blog posts and other Web content. There are a plethora of Twitter-related extensions. The best, however, is the one from Twitter itself, which makes it easy to tweet about Web pages as you surf, view top trends and see who is talking about a site or article. It's handy for business users who want to keep tabs on what people are saying about their products, companies or Web sites. The extension adds a toolbar with a Twitter search form, the top 10 trending topics on Twitter, and buttons to post new tweets or to see tweets related to whatever page you're currently looking at. Clicking "Tweet" opens your Twitter.com home page and, if you're logged in, creates a new tweet with the page title and shortened URL of whatever page you're looking at; otherwise it prompts you to log in. Clicking "Related Tweets" opens a sidebar listing the last 15 tweets that link to or mention the page you are on. A number of extensions offer easy access to link-shortening services, but Shortenz Linkz from Trailing Zee Productions takes the cake: It supports the widest range of services, can be used to tweet links automatically and offers some support for customized link creation (such as for Flickr and YouTube as well as Bit.ly accounts). Shortenz Linkz isn't available in the Safari Extensions Gallery, but you can download it from the developer's site. If you want your Facebook experience to be just about what's in your timeline or on your wall, SonsterMedia's Facebook Cleaner is the perfect plug-in for you. It blocks almost everything else, including ads, friend suggestions and references to things your friends like, as well application-specific items like pokes, from appearing in the Facebook sidebar. And it speeds up Facebook load times a bit. Facebook Cleaner is great if you're just interested in cleaning up Facebook's appearance, but if you want to go whole-hog with Facebook customization, give Better Facebook a whirl. The extension makes dozens of changes to your Facebook home page, such as separating status updates that originated on Facebook from posts imported from Twitter, adding your "Liked" pages to the main page, and adding buttons to mark read posts as "read" so you don't waste time re-reading them. If you don't like any of these changes, you can easily change them back in the extension's myriad options, which also let you do everything from forcing Facebook to display the Most Recent feed instead of the edited News Feed to automatically loading older posts as you approach the bottom of the page and hiding old comments when you revisit a post to see new comments. Another nice feature is the Privacy Scan, which uses the tool from ReclaimPrivacy.org to check your page for potential leaks of information to people other than your friends. YourVersion combines the social bookmarking features of sites like Delicious with the broadcasting abilities of Twitter and Facebook and the serendipity of discovery sites like StumbleUpon. Click the YourVersion button in your Safari toolbar and a window opens on your current page offering a shortened URL for that page. You can copy and paste it wherever you want or use the shortcuts to automatically create a Twitter post, Facebook update or e-mail message with the link embedded. Want to see a larger version of a Web site image when you hover your cursor over it? Side Tree Media's HoverZoom does just that at a range of sites, including Facebook, Flickr, Picasa and Twitter. It works with a surprisingly large range of non-social-media sites as well and optionally offers zoomed-in previews of many Web video sources in addition to still images. There are a number of open-source and shareware applications that allow you to download video from YouTube for offline viewing. YouTube Downloader from Bronenos blows them out of the water. It adds buttons directly above a video on YouTube's site (but not videos embedded on other sites) that let you download in either FLV or MP4 formats. This is a great option for later video viewing or for building YouTube content into presentations or multimedia projects (while obeying copyright and/or fair use rules, of course). YouTube Downloader isn't available in the Safari Extensions Gallery, but you can download it from the developer's site. This versatile reference tool from Apture Inc. is especially great for students. Once it's installed, anytime you highlight a word or phrase on a Web page, it displays a pop-up window in which you can search for additional information about the selected phrase from Wikipedia, Google, Bing, YouTube or Google image search. When you press a key combination -- you choose the combo in its preferences -- Canisbos Computing's PopSearch extension displays a "pop-up" search box overlay that lets you search any of 14 different sites. That list includes obvious ones like Google, Bing and Wikipedia as well as less obvious choices like Amazon, your Instapaper account, Twitter and Facebook. Félix Cloutier's Search Preview adds inline thumbnails of linked pages to your search results from Google, Bing or Yahoo. It's invaluable for getting some context about the pages included in your search results. Search Preview isn't available in the Safari Extensions Gallery, but you can download it from Softpedia. * Translate: Translate any text you select on a Web page to or from English and six other languages. * CrunchBase: Look up company names in TechCrunch's user-editable online directory of tech industry companies, people and investors. * Map: Look up any address on Google Maps. * Share: Share a link to the current page using e-mail, Facebook, Twitter, Google Buzz, Digg, StumbleUpon and/or other services. * Printliminator: Remove unwanted images, paragraphs or page elements for printing. * FireBugLite: Explore the code underlying any Web page. If you want a more complete translation tool than the one provided with UseKit (or if you're not interested in UseKit's other functions), give Side Tree Software's Translate a try. It taps Google Translator to translate the text of any Web page into one of nearly 60 languages (the default being English). Perhaps the best feature of Translate, which adds a toolbar button to Safari, is that it doesn't just translate the text, it re-renders the entire page with the translated text and (optionally) displays it in a new tab. Instapaper is a free service that lets you save articles and other Web pages for future reading, optionally formatting them into a easy-to-read format similar to a newspaper ("instant paper," get it?). Instapaper offers a simple "Read Later" button you can add to Safari's Bookmarks bar; if you're on a page you want to read or review later, just click the button to save the page to your Instapaper account. But an even better option is the InstapaperIt extension from ElasticThreads. InstapaperIt not only lets you save the page you're currently on to your Instapaper account (just click the "I" button to the left of the address bar), it also lets you save linked pages for later. To save a linked page, right-click the link and select "Send Link to Instapaper." Alternatively, you can set a hot key; press the hot key as you click a link, and the linked page will be saved to your Instapaper account. It's a great timesaver for business travelers, commuters or Web researchers who want to compile several articles to read all at once at a convenient time. It can also be handy for people who have spotty Internet service or perhaps nasty weather headed their way. Take the Internet and save it. This extension from Brett Terpstra adds keyboard-based navigation when you're browsing your Instapaper account. You can navigate through bookmarks and folders, view bookmarked pages on their original site or in Instapaper's Text view, or archive pages and send them to other services like Evernote and Delicious. When installed, simply press the "h" key while logged into Instapaper for a full list of keyboard commands. This extension from Rob Wilkerson does exactly what it says: It adds the RSS feed for the current site to your Google Reader account via a toolbar button. This one's a great companion to the above extension. Rafeed Chaudhury's GReader displays the unread count of your Google Reader account in a toolbar button -- and clicking that button takes you immediately to your Google Reader home page. Much like GReader, LifeFromBelow.com's Gmail Checker displays the current unread message count of your Gmail inbox via a toolbar button -- and clicking the button takes you to your Gmail account. Before Safari 5 was released, Apple was criticized for being late to the extensions party that started with Firefox and gained ground with Chrome. Despite the delay, Apple has made installing and updating Safari extensions a breeze. And though the Extensions Gallery is only a starting point, it's a good one for most users. More important, extensions give users a more personal browsing experience and a more modern way of navigating around the Web. The one-size-fits-all browser is dead. It's about time. Let us know your favorite Safari extensions in the article comments. Ryan Faas and Logan Kugler are frequent Computerworld contributors.